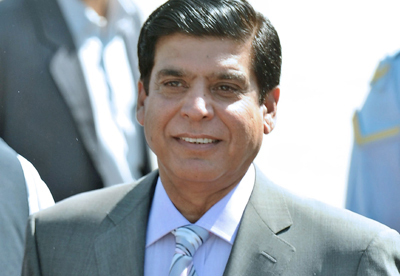 Prime Minister Raja Pervez Ashraf said on Saturday that it was time to rise above petty fights and criticism, and build consensus and unity in the nation. While inaugurating a shelter for homeless children at Sultana Foundation on Saturday‚ he said the country was facing multiple challenges, but all the problems these can be sorted out by developing national consensus. He said the government’s efforts for building national consensus had started paying dividends. He said all Pakistanis should rise above cast‚ creed and sectarian differences, and stand united to confront the challenges of extremism and terrorism. He said a handful of misguided elements could not dictate their terms to the peaceful majority. Calling the youth an “asset”, He said collective efforts would be made for their welfare and education. He said education budget would be increased to raise literacy rate. He said that under the 18th Amendment‚ education had been devolved to the provinces. He added that the federal government would continue to play its role to promote education. He said the government was making efforts to improve the standard of education at federal schools. Paying tributes to the welfare services of Sultana Foundation‚ he said those working for the welfare of humanity were the asset of the nation. He asked Sultana Foundation to enter into a public-private partnership for opening schools in Islamabad and the far flung areas of the country. He announced Rs 50 million for the foundation. I want to know why MNP has been banned? When will it be restored?